Rilakkuma Shop: Korilakkuma has arrived to our July 2010 Photo Contest Winner! Korilakkuma has arrived to our July 2010 Photo Contest Winner! 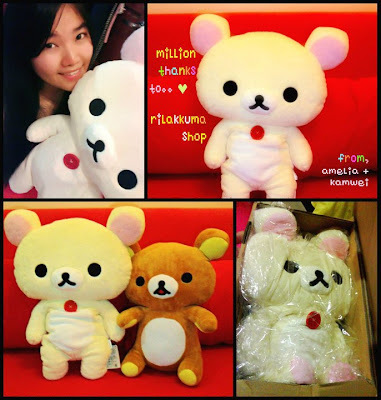 Once again, congratulations to our winner of Rilakkuma Shop July 2010 Photo Contest. Rilakkuma Shop wishes all Rilakkuma lovers happy weekend! !